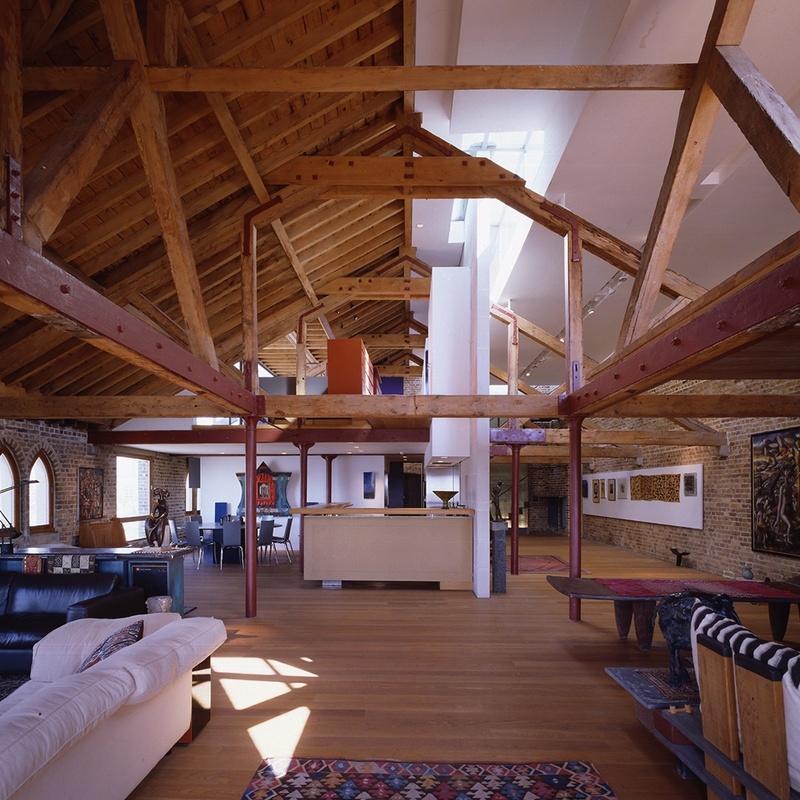 Large 4,000 sq.ft. 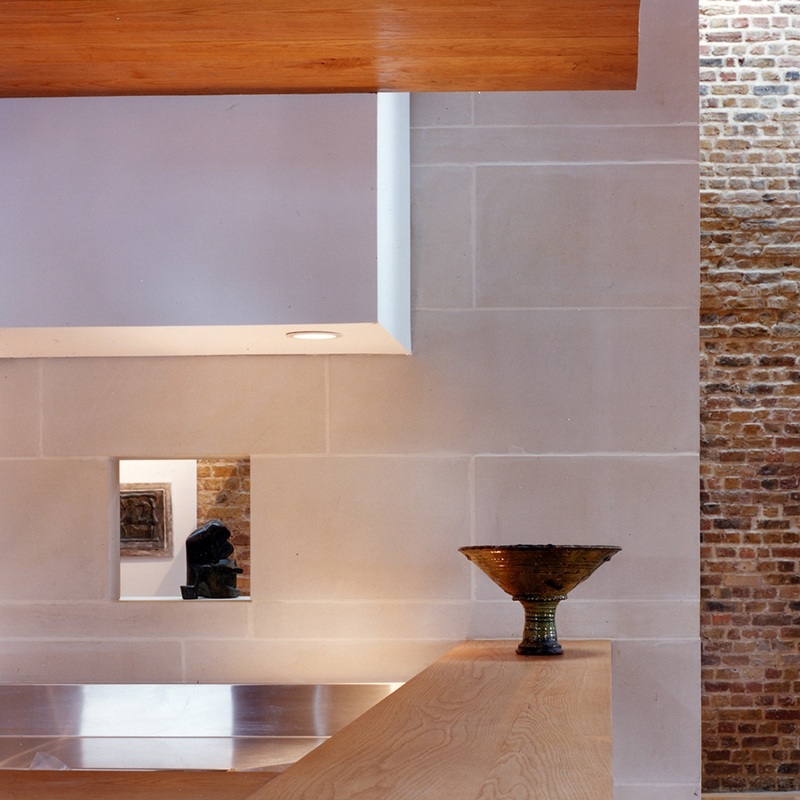 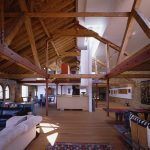 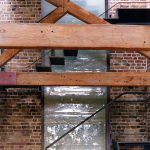 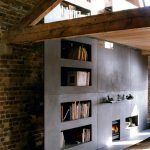 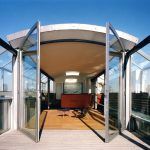 penthouse loft for an artist, converted over the three top storeys of Grade II Listed tea warehouse on the river Thames. 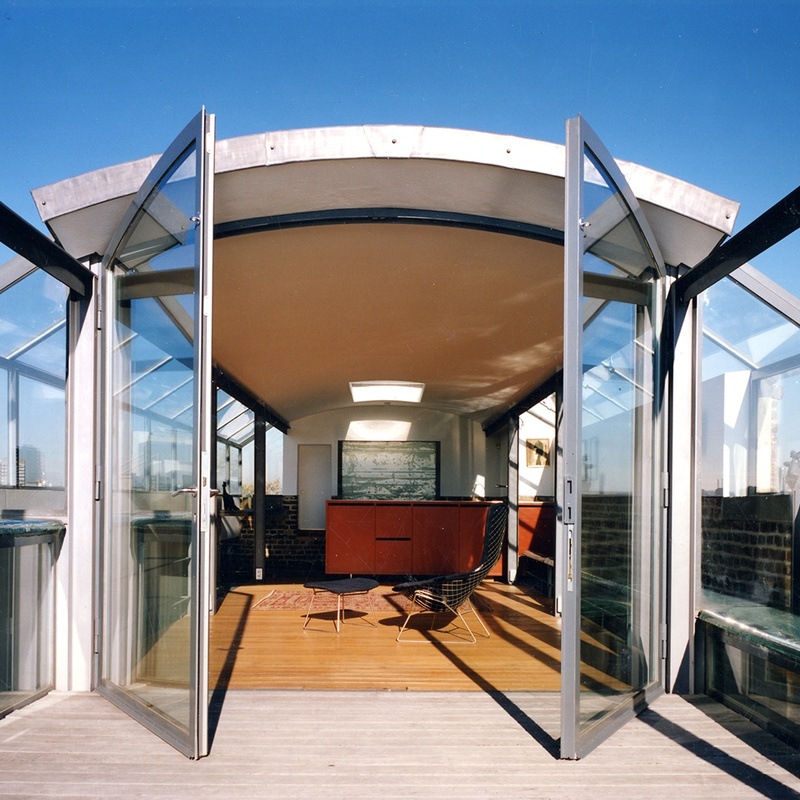 The warren of rooms which had been added in the 1970s were removed and an open 3-storey naturally-lit volume created, with open mezzanines to create a fluid sequence of private and more public areas. 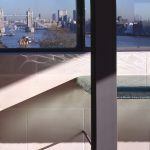 The design includes a gallery, a rooftop lounge and terrace with fine views over London.